Tampa, in my experience, is one of those Florida cities that people from away can’t place. I was often asked when I lived in Boston, “Now where is it, on the West Coast or East Coast?” (West!) I lived in the “Tampa-St. Pete” area for many years, and now watch the two cities’ growth from afar and occasional visits. St. Petersburg has developed a stronger personality, but Tampa is catching up. 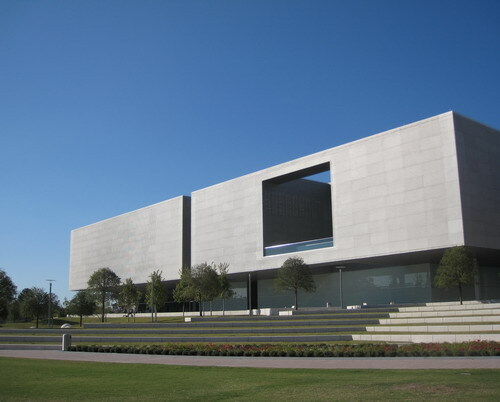 One example: it’s stunning new Tampa Museum of Art , open just over a year now. We toured the gleaming new space during a visit late last year and were mightily impressed. 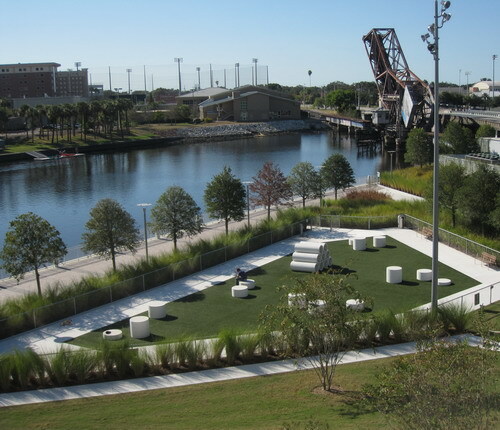 The building, designed by Stanley Saitowitz, sits along a bank of the Hillsborough River, next to the spiffy and even newer Glazer Children’s Museum and Curtis Hixon Riverfront Park, a tremendous addition to downtown green space and entirely new to me. From the lobby and hallways of the modern-industrial 66,000-square-foot museum one can see the water, and, on the other bank, the landmark minarets of the Moorish-styled University of Tampa. The ultra contemporary space — all shiny on the outside — lends itself well to its modern works, including a Calder mobile in the lobby, a room with cool LED displays, a sculpture-filled terrace, and a Do Ho Suh bathroom installation made of fabric that I so wanted to touch. But the two or so rooms of ancient stuff was just jarring. OK, yes, the museum has this important collection of Greek and Egyptian art, but it just doesn’t work here. It broke my flow and harshed my buzz. 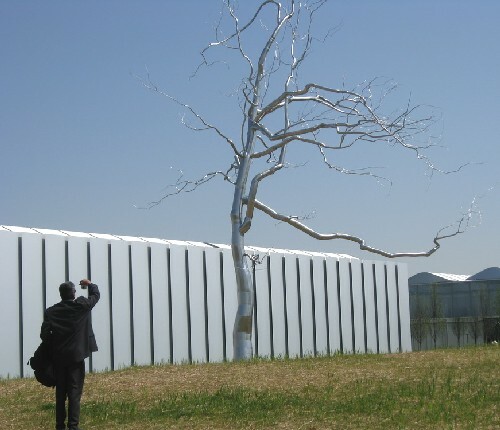 What’s a modern-looking museum to do with its old stuff? If you aren’t into art (what’s with that? ), at least check out the lobby (free) and Sono Cafe, which has an upscale sandwich menu and gelato — best enjoyed on the patio overlooking the river. Another free thrill is the museum-commissioned nighttime display by digital-light artist Leo Villareal, which turns a wall of the museum into “a kaleidoscope of patterns and colors,” according to one article. Alas, we visited during the day. Next time! Salvador Dali would enjoy the hoopla. 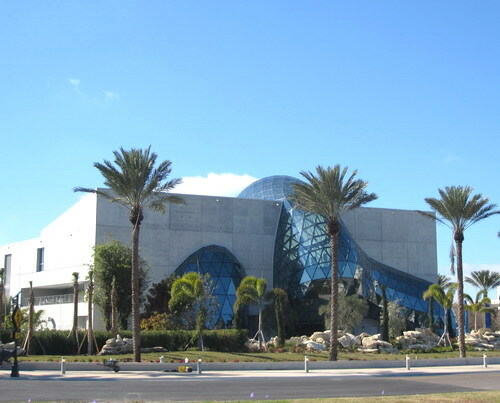 To great fanfare, the new Dali Museum in St. Petersburg, Fla., opens to the public 1/11/11 at 11:11 a.m. It is a beauty, both real and surreal. 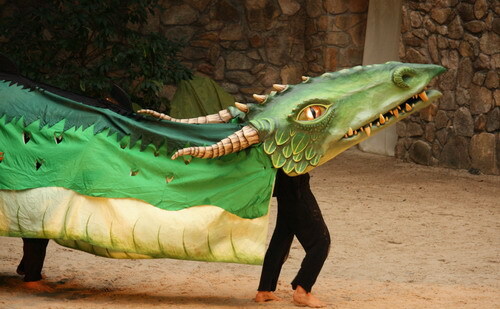 January is chock full of public events to herald the arrival of this masterpiece of museums. 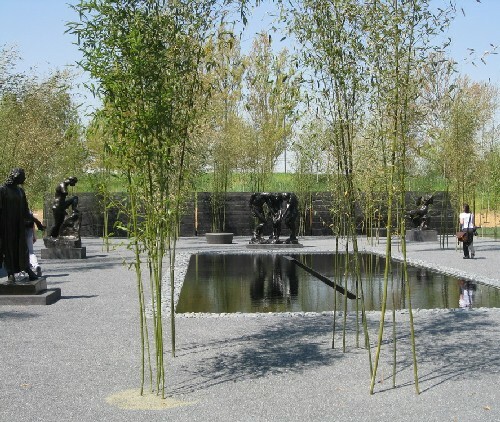 Whenever you visit, now or later, take a docent tour. 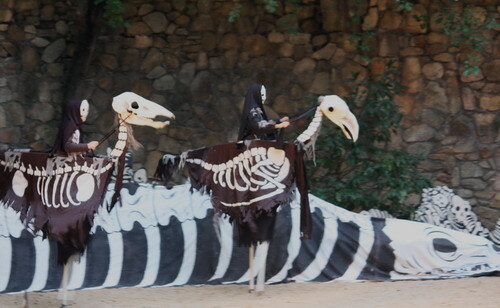 Not only are they entertaining, but, trust, me, you’ll want the explanations. We were treated to a sneak preview of the $36 million building late December. With two weeks to go before the opening, things were still very much a work in progress, and the artwork hadn’t been moved from the current site eight blocks south. Though I loved the old museum, which opened in 1982, it was time for a step up for Dali’s art and for downtown St. Petersburg, these days a lively tourist destination. Many folks don’t realize that the Dali Museum here has more of the surrealist’s paintings than any place outside of his museum in Spain. 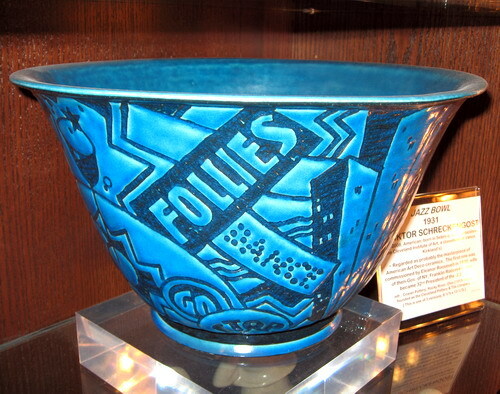 The core collection was donated by the late A. Reynolds and Eleanor Morse. 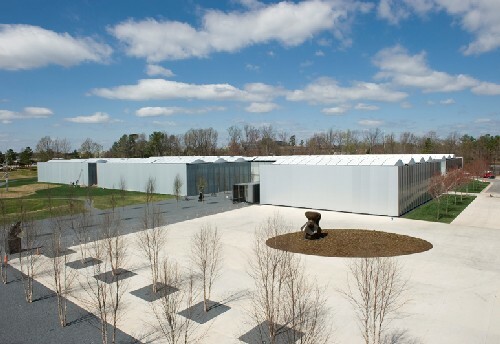 The new 66,400-square-foot building more than doubles the old, and the exhibition space jumps from 7,000 to 15,000 square feet, meaning more paintings, sculptures, and melting clocks can be displayed. 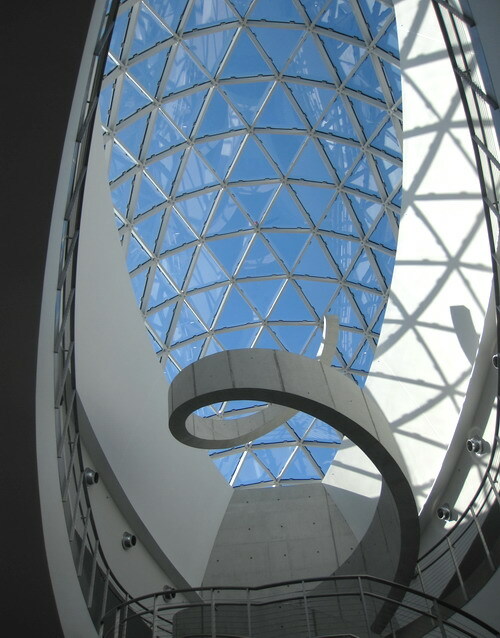 The building itself, designed by architect Yann Weymouth, is the perfect vessel for Dali’s work. Visitors are first hit with a view of the “Glass Enigma,” geodesic glass bubbles that front the building. From the inside, the structure, made with 900 triangular glass panels held in a steel grid — none identical — looks over the city’s waterfront. Just at the entrance is the cleverly titled “Avant Garden,” featuring a grotto and bridge, hedge labyrinth, and a patio with stone pavers forming the golden rectangle. Dali loved mathematics. Inside, you’ll walk by (or browse in) an enhanced gift shop that will hold even more items than before, some custom-designed with Dali in mind, as they have been in the past. To the right is the first Dali café, with lacy metallic chairs. In the center is another mathematical masterpiece – “the Helical Staircase” – a spiral staircase resembling a strand of DNA that ascends to third-floor galleries and ends midair with a flourish of steel. It's always raining inside "Rainy Rolls"
Also sure to make a splash is “Rainy Rolls 2010,” a custom-made version of Dali’s “Rainy Taxi.” His original installation of a taxi that rains on the inside was the hit of the 1938 International Surrealist Exhibition in Paris. 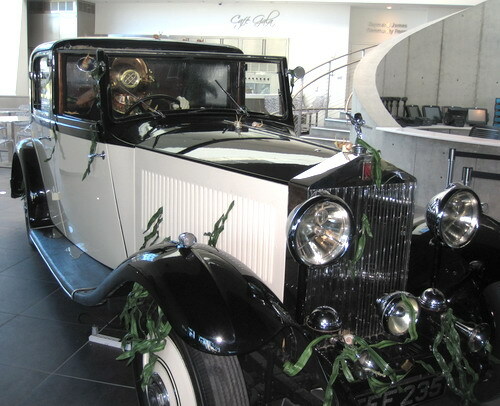 It’s been re-created several times over, and this one was designed by Alain Cerf, founder of the Tampa Bay Automobile Museum. The car is a fully functional 1933 Rolls Royce Sedanca whose mannequin driver, dressed in vintage dive gear, carries a passenger, in this case a mermaid, who is being rained on. (The water is actually coming down between plexiglass panels.) It’s an engineering and artistic marvel, and makes you realize there really is no shelter from the storm. That, my friends, is surreality. 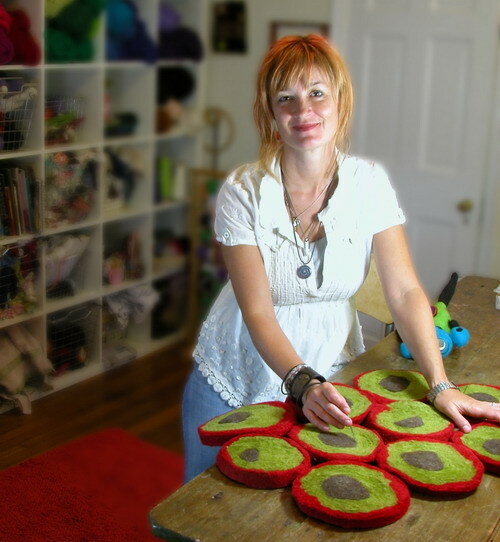 I love Paige Cox’s felted artwork! I wrote this for my regular Who & Ware craft column for the News & Observer in NC (it ran Nov. 6, 2010). Her pieces are sold around the country and online. When Paige Cox goes into high schools to talk to students about careers in art, she makes sure they know that drawing is not her thing. And what a craftsman she is. 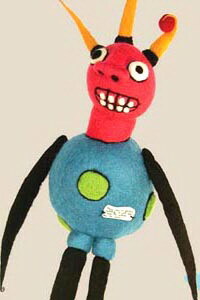 For the past decade, Cox, 38, has felted joyful, colorful, highly artistic dolls, balls and more. Her work is in stores across the country, including the Triangle, and she’ll have a booth at the Piedmont Craftsmen and the Carolina Designer Craftsmen Guild shows this month. 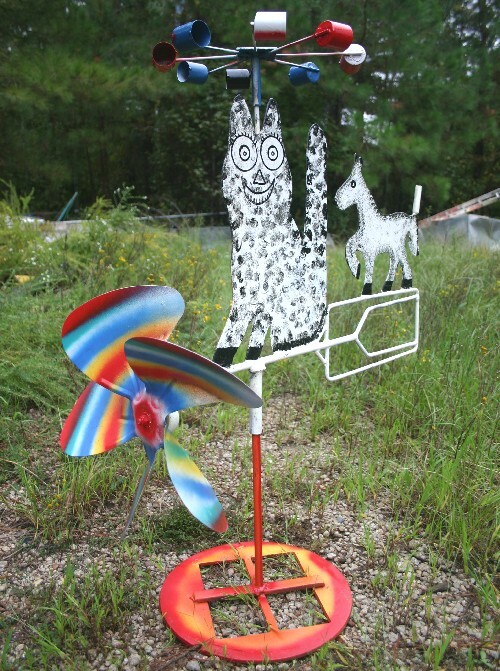 Cox grew up in Asheboro, as Paige Helms and was encouraged by her mother, a lover of art and crafts, to explore her creative side. When it came time for college, her boyfriend was going to N.C. State University, so she opted for nearby Peace College in Raleigh. Things didn’t work out at Peace or with the boyfriend. Cox focused on weaving, but in her senior year tried felting, where wool fibers are matted, pressed and adhered, with or without moisture, to form objects, shapes and designs. 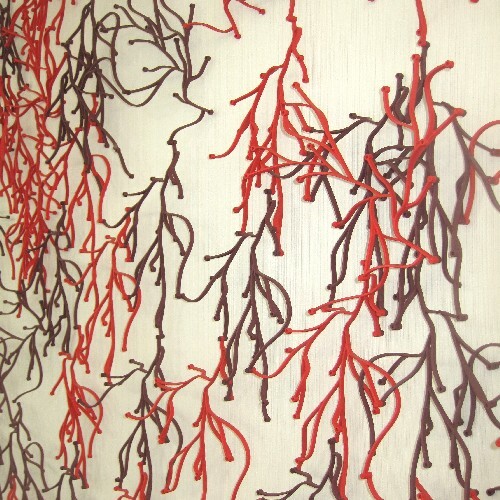 After graduating in 1994 with a bachelor’s degree in fine arts specializing in fiber arts, Cox worked with Annawear hand-painted clothing in Highlands. Once back in North Carolina, she reconnected with her high school sweetheart, Tim Cox, a graphic designer who by then had moved to Greensboro. She joined him there the following year, and they married in 1997. 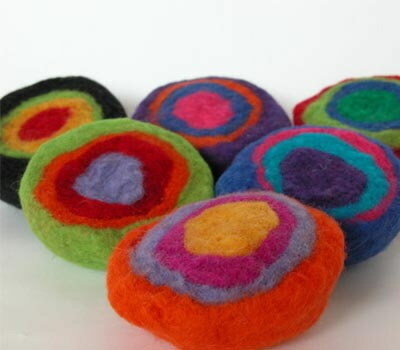 The couple now have a daughter, 10, and son, 7, who were the impetus for her return to felting. We were lucky enough to get a sneak preview of the exhibit (it’s now open) while there during a southeast chapter meeting of the Society of American Travel Writers, meaning we didn’t have to fight the nattily dressed crowds. A funny aside: not only we were not allowed to take photos inside the exhibit (not unusual), we were told to put away our ink pens. That was a first. So I pulled out my pencil and scribbled away. 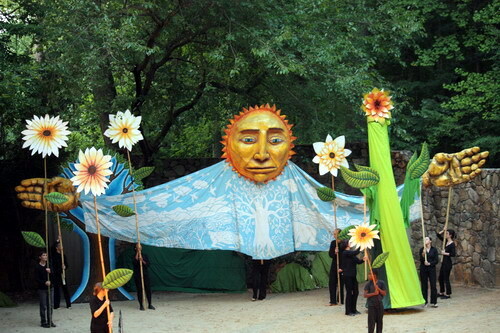 The show, up only through Aug. 29 (so get going! 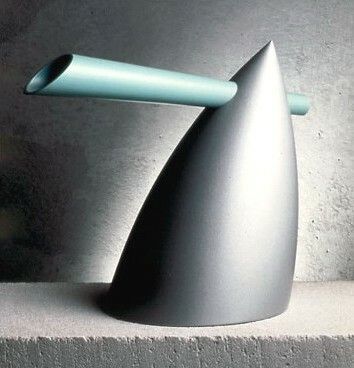 ), is billed as the first survey of contemporary Western Europe decorative arts and product design. 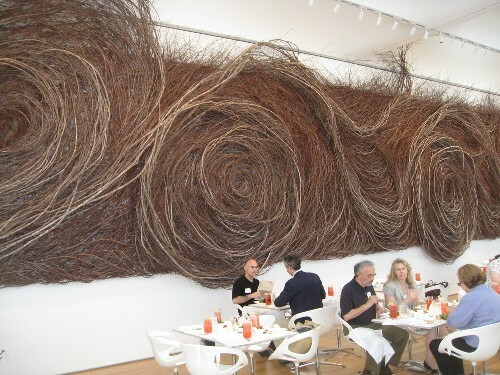 It’s organized by the Indianapolis Museum of Art and the Denver Art Museum and encompasses furniture, glass, ceramics, metalwork, lamps, and household items. Designers include the ubiquitous Philippe Starck, as well as Marc Newson, Marcel Wanders, Tord Boontje, and the Bouroullec Brothers. Way exciting! The first floor holds a yummy collection of chairs. 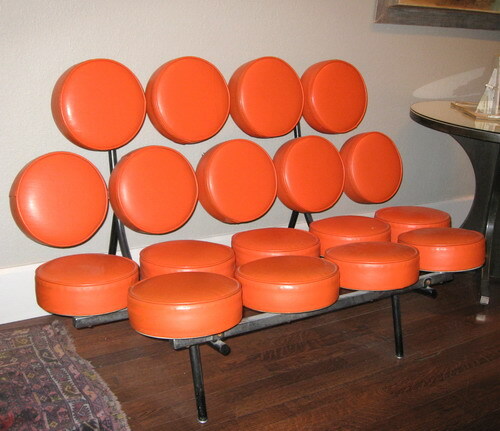 I wanted to not just touch but to sit, though most are more for looking, not lounging. 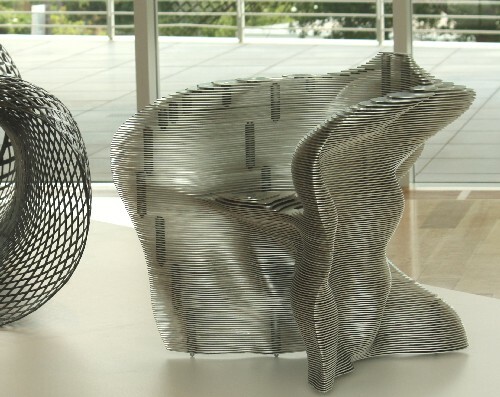 My favorite was Mathias Bengtsson’s “Slice Chair,” the aluminum version from 1999. The Danish designer, based in London, has done several variations on the theme. Here’s a great Q&A with him. Much in the way Ellen was excited about her household goods, Wessel was thrilled to see so many Dutch designers, not that that should be a surprise. We’re talking Tejo Remy, Piet Hein Eek, Tord Boontje (you’ve seen his paper-lace lampshades) and more, many whose work are sold through Droog, my favorite Amsterdam design shop (more on that some day). One of the neatest everyday products was a Ty Nant water bottle from Wales created by Welsh born designer Ross Lovegrove. The sensuous asymmetrical bottle was designed to evoke the fluidity of water. 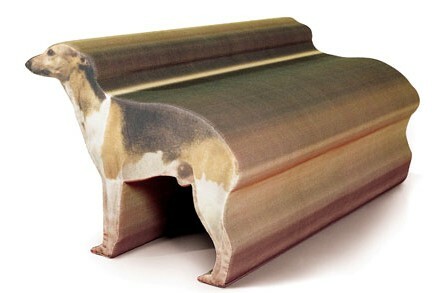 Whippet lovers will go wild for the “Whippet Bench” by RADI Designers in Paris. If it were a dachshund, I’d go out of my mind and might have to spent my life savings on it. 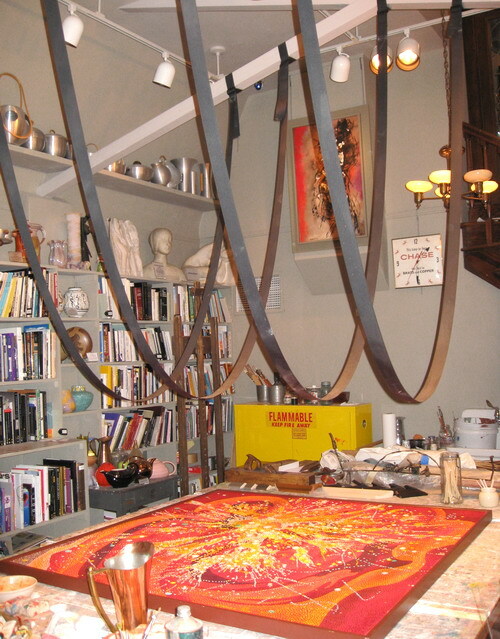 Groupings of work were labeled with headings like modernism, post modernism, neo-pop, biomorphic, neo-decorative, etc. Whatever you want to call these movements, I call them super cool (one reason I’ll never be an art critic)! Speaking of art criticism, we watched two museum staffers spend an inordinate amount of time trying to change a light bulb inside a wildly shaped lamp. So, how many art guys does it take to change a light bulb? Three. One to hold the precious lamp, one to screw in the bulb, and one to review the show. Race car #61, marker for Joey Laquerre Jr.
BARRE, Vt., — It was a dark and stormy day. And all the better for visiting Hope Cemetery, except that our marker map got soaked. 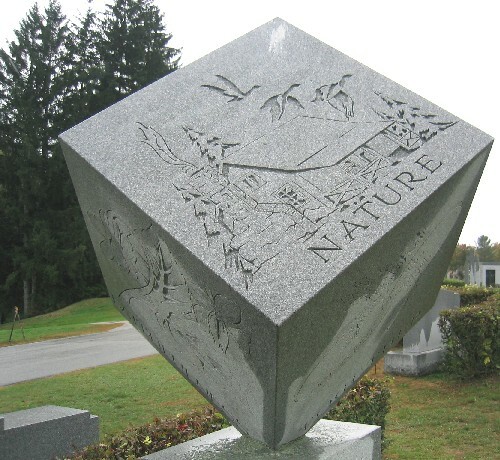 This cemetery in central Vermont is no ordinary final resting spot, but a Louvre of memorial art. 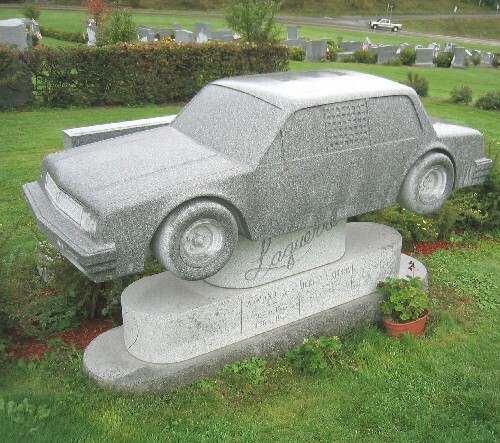 When you live granite, as a huge number of Italian immigrants did a century ago in this working-class Vermont city, you die granite. 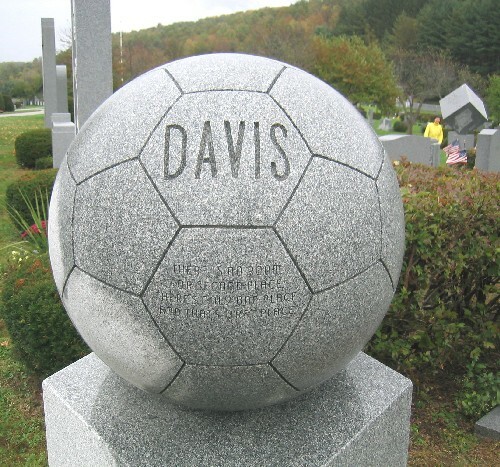 What better way to memorialize a granite sculptor or a worker’s loved one than with a locally produced and quite unique grave marker? The 65-acre cemetery, just north of Route 302, is a lovely setting for viewing and strolling. 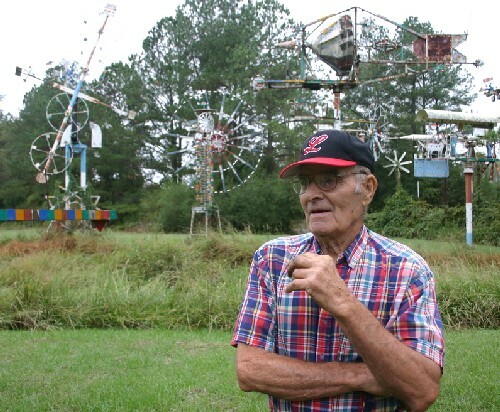 Visitors — from all over the world — are a common sight. A large burial service was going on when we were there on a late fall afternoon, which kept our mood rather somber. That is until we came upon the granite automobile marker, and the airplane, and the soccer ball. These markers celebrate life as much as mourn death, striking a balance between comical and poignant. 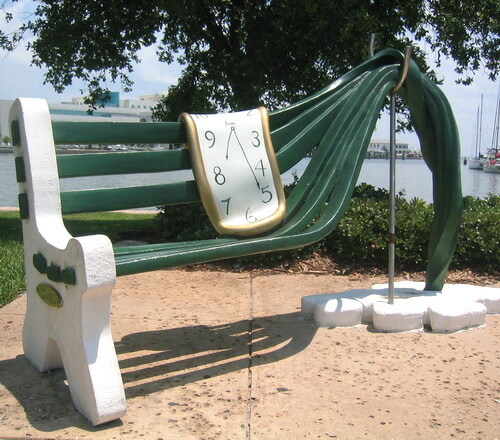 One of my favorites was an oversized chair in the form of a favorite chair of the deceased. The floral carvings are also amazing, and the Visitors Guide to Hope Cemetery, published by the Barre Granite Association, explains the meaning of some of the flowers. Roses symbolize love and wisdom, Easter lilies, purity, and calla lilies sympathy. 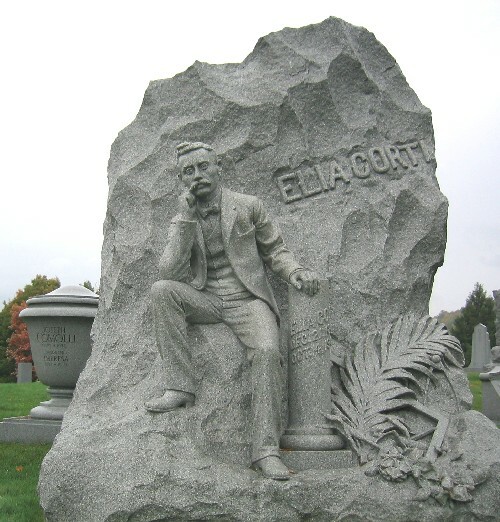 One of the cemetery’s most famous gravestones is that of Elia Corti, who died at age 34 in 1903. This large statue was cut from a single piece of granite and is a life-size likeness of the deceased, carved by his brother. In the sculpture, Corti is seated with his right elbow on his knee. Seams, wrinkles, and creases, and buttons are detailed in his clothing. His face is extraordinarily lifelike. 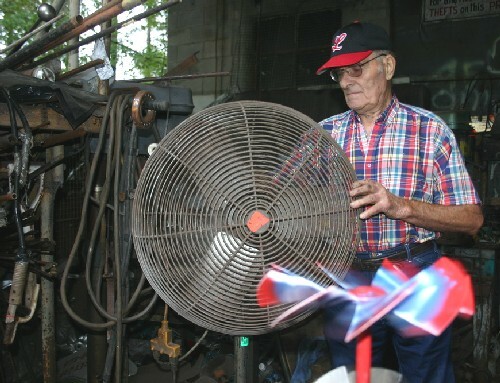 The tools of his trade surround him. All this from one block of rock. You’ll also come upon bas relief carvings, including one of an angel and another of an elaborate sailing ship said to symbolize salvation. There are family mausoleums as well. The Vanetti family’s has eight crypts. The elaborate grillwork on the door is made from granite. 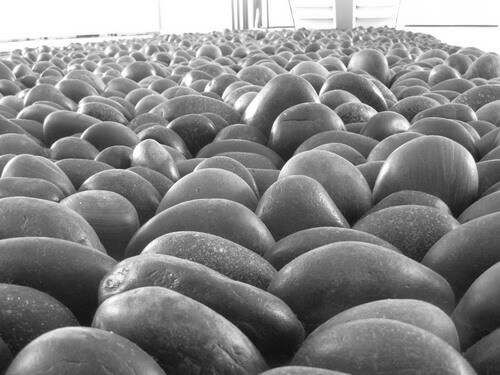 Whether your day is dark and stormy or sunny and clear, this is a place to celebrate life and the rocks of ages. Hope Cemetery is at Merchant Street at Maple Avenue in Barre. For a map, contact the Central Vermont Chamber of Commerce, 877-887-3678. The cemetery can be reached at 802-476-6245. Tags:Barre, Hope Cemetery, Vermont, Vt.
Over the past 18 months, Flynn, 49, has gone from underemployed illustrator to successful creator of unique robot sculptures. 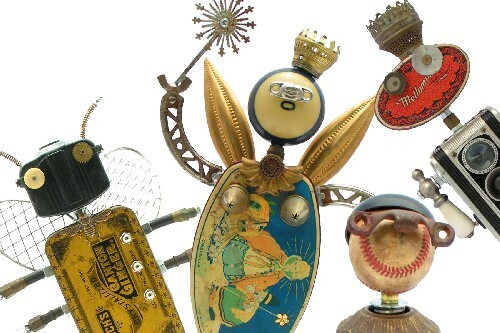 Except for a few nuts and bolts, the 10- to 20-inch-tall creatures are fully made from her vintage findings at flea markets, yard sales and, if pressed for a particular object, on eBay. 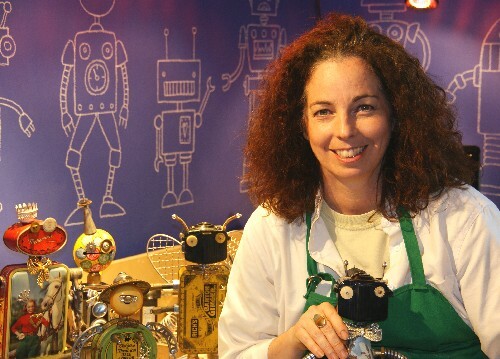 The “Fobots,” as she calls the found-object robots, are artistic, humorous and totally endearing. “They’re not symmetrical. 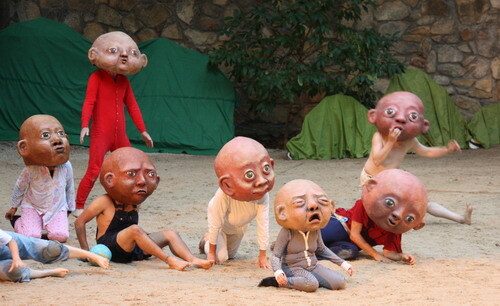 There’s always something off, like one eye bigger than the other, or the arms are mismatched. I really feel like that’s what makes them human,” she said. Take, for instance, “Junior Birdman.” His body is a bird food tin, his arms are faucet handles, and his head is a tea ball topped with a toy propeller. Other components include hydraulic fittings, a button and watch gear. The Fobots’ debut has been well received. 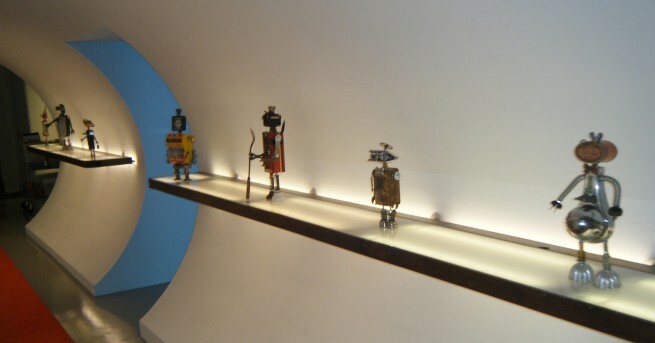 In the past year, they have gained Flynn entry into some of the country’s most competitive art fairs, graced the pages of the Anthropologie catalog and, most recently, earned a cameo role in the ABC comedy “Ugly Betty.” In the March 10 episode, 14 Fobots lined the shelves of the tube walkway that connects the reception area to the inner sanctum. Flynn is surprised, elated and a little embarrassed by her success at a time when many veteran artists are having a hard time. For many years, Flynn was content as an illustrator, doing what she’d always loved. Her first job out of San Jose State University in California was with Hallmark Cards, illustrating greeting cards. Later she did similar work at Current in Colorado, and eventually left to freelance so she would have time to illustrate greeting cards and children’s books. Her drawings for cards and books were, for the most part, soft, sweet and seasonal. Flynn landed in North Carolina when her husband, Phil Crone, who works in the computer software industry, was transferred to Raleigh in 1993. She continued to freelance, but over time her regular clients all but vanished with the economic downturn. She was miserable. Flynn isn’t sure what led her to make her first robot. 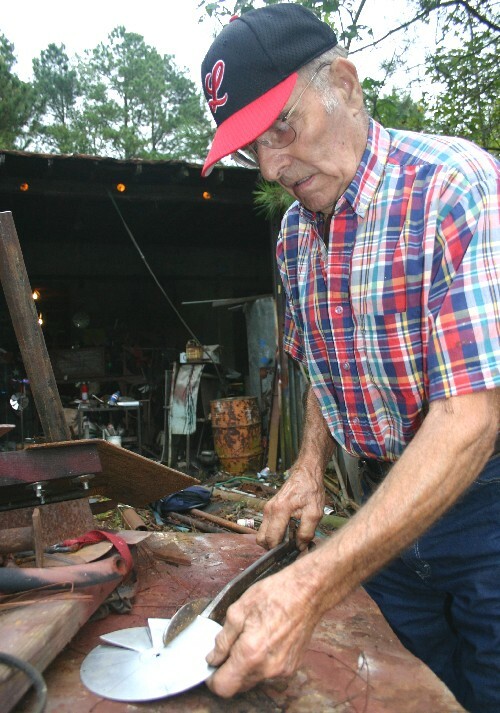 “We had all this junk in the basement, and it inspired me,” she said. 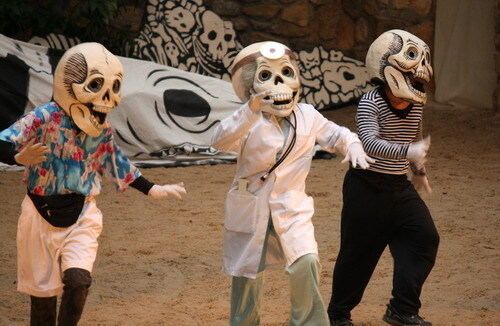 She had collected most of the items at flea markets to potentially use for theater props. 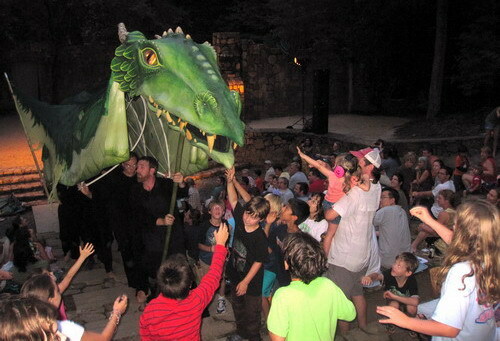 She and Crone have been involved in community theater, working with Raleigh Little Theater, Theater in the Park, the Actors Comedy Lab and others. “Mostly I acted, but I liked to pay my dues backstage by making stuff,” she said.